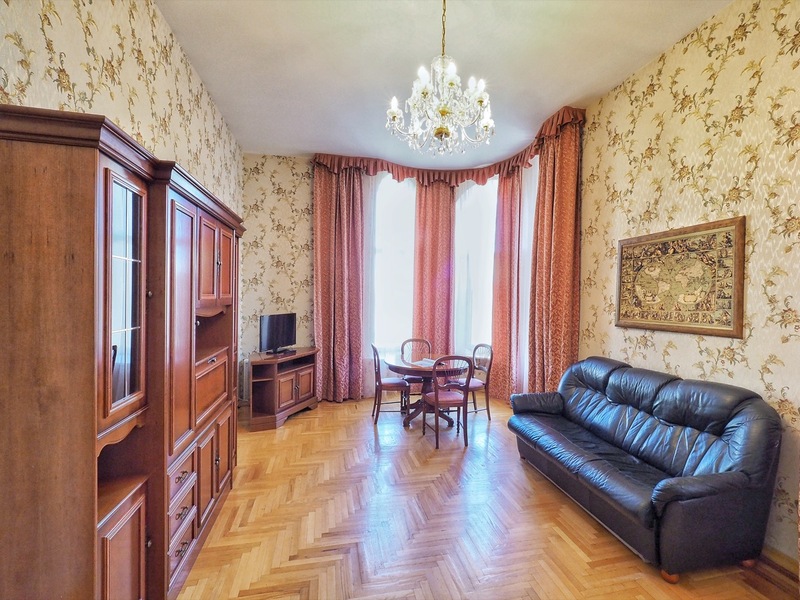 Apartments are situated on the 5-th floor of the 5 storied building, windows face Ispolkomskaya and Konnaya streets. — Each bedroom (14 sq m) has 1 double bed, bedside tables, a wardrobe, a dressing table with mirror. — Living-room (26 sq m) features a leather folding sofa and two armchairs, coffee table, dining table with 6 chairs, a cupboard. 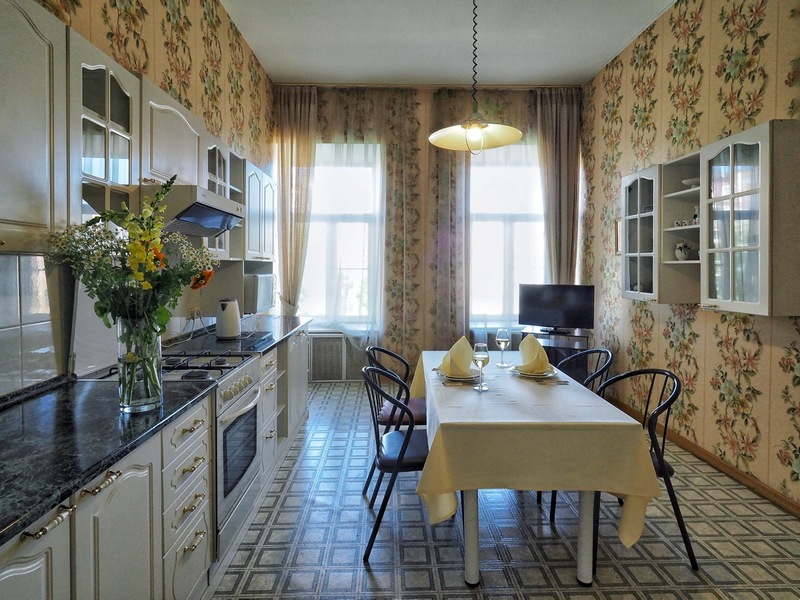 — The kitchen (24 sq m) features a dining table, chairs, stove, TV-set, refrigerator, microwave, dishwasher, coffee maker and cooking utensils. — Bathroom features bathtub, sink, bidet, washing machine, dryer, bathrobe and slippers. Separate bathroom. The apartments have iron, ironing board and dryer. Room service and linen change on request.